Engineered block wall, patio, steps, fountain. 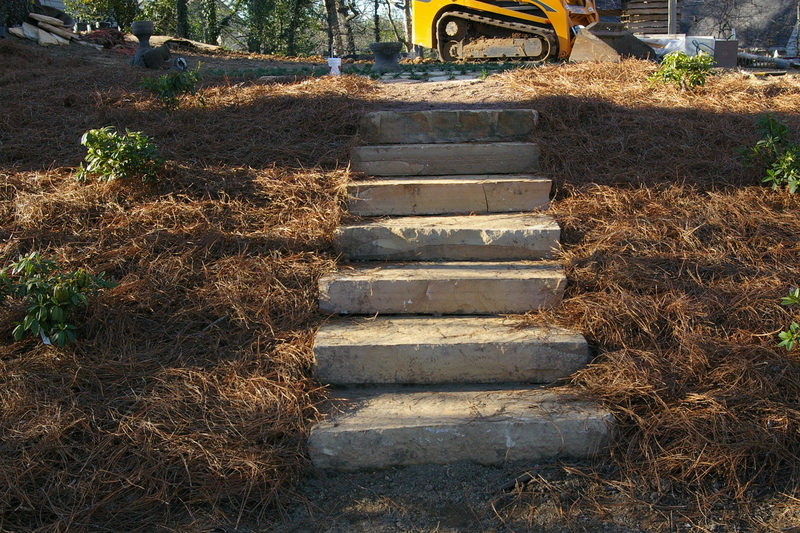 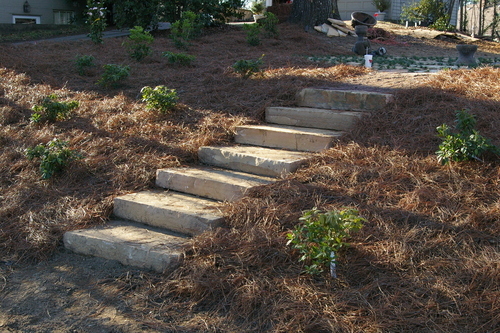 Engineered block walls, stone steps, fountain. 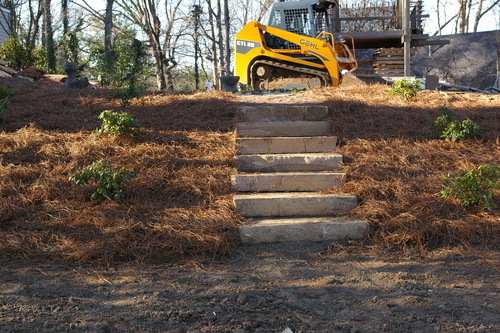 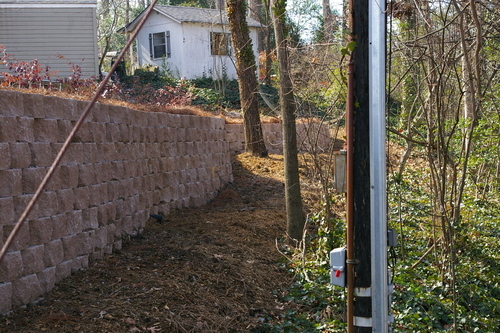 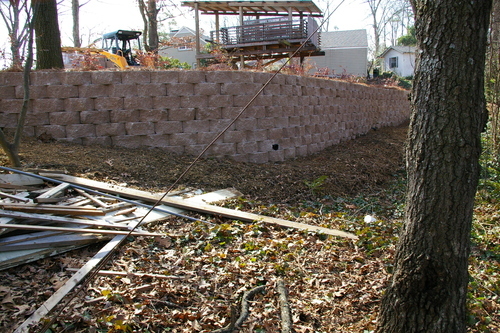 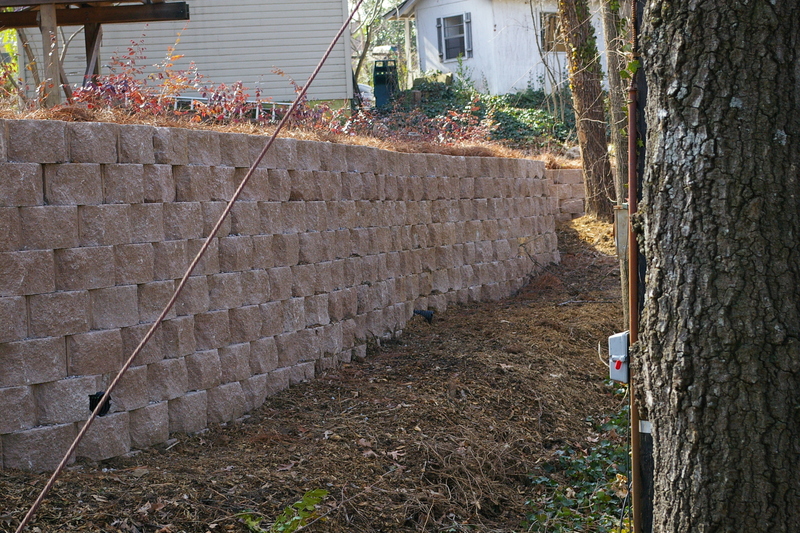 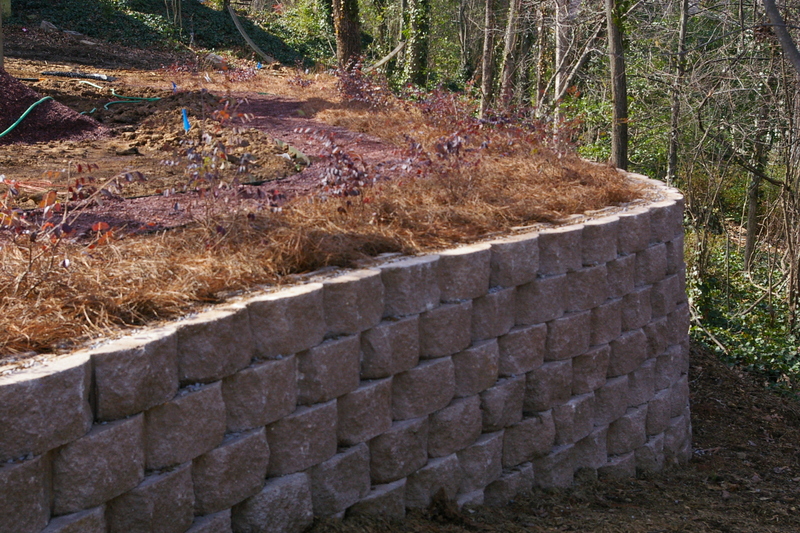 Pictures of Block wall, patio, steps, and fountain we installed. 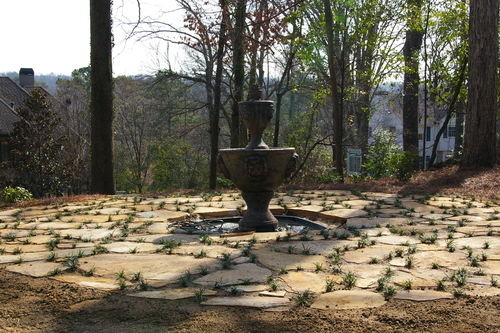 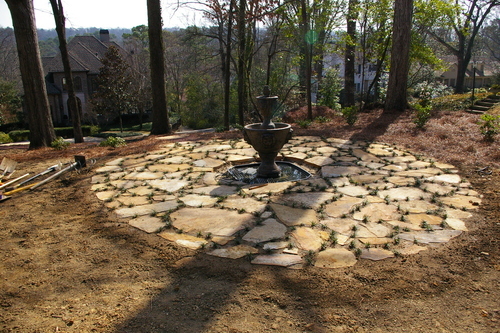 Flagstone patio with mondo filled joints and disappearing fountain.